Depending on cutting facility and cutting purpose the cutting operation complete by various way. There are too many cutting process used in garments industry, but today I’m going to discuss about band knife machine and its process. Which is used to cut mostly small pieces of garments specially lingerie item. Band knife work with an endless flexible knife like a loop. Band knife is round flexible functional by three or more than three pulley are powered by a high RPM (revolutions per minute) electric motor. 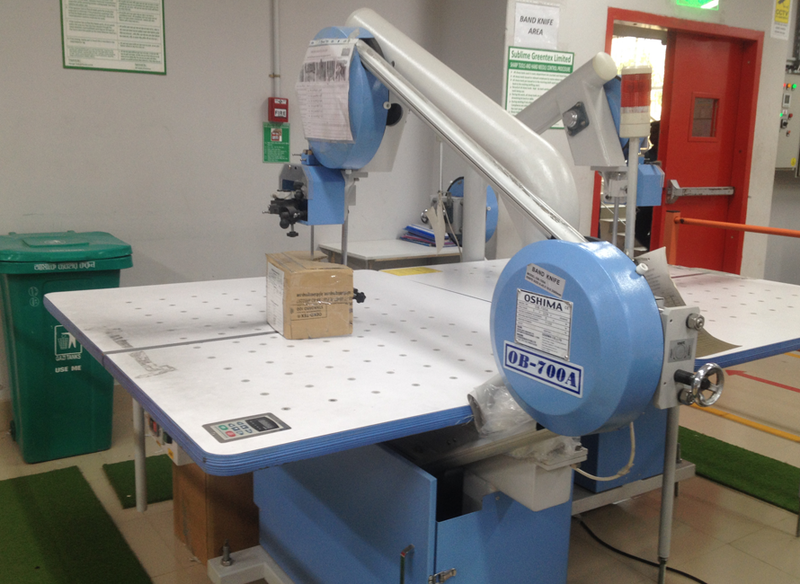 Based on material properties; the speed of knife can be adjust by machine operator. Small pieces of garments can be easily cut by band knife without making any technical fault in pieces. Operator required to push the fabric lay through the knife to complete the cutting operation. 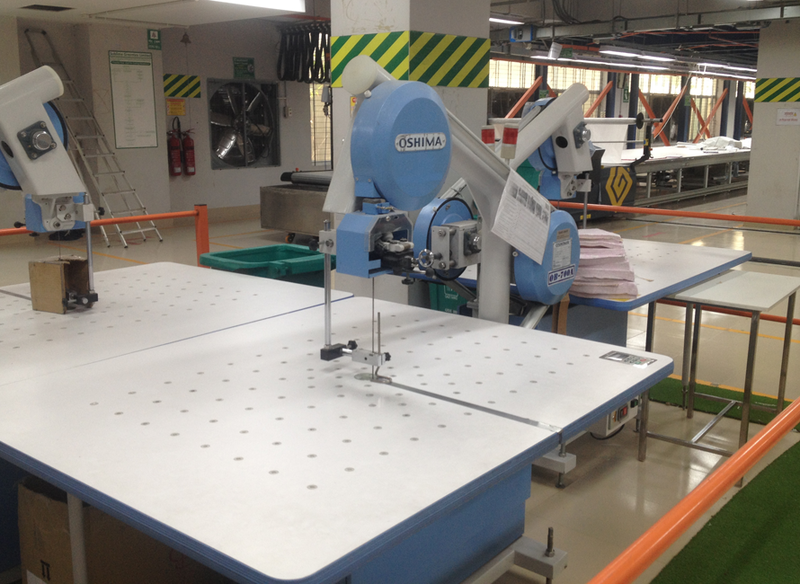 Depending the operator expertise garments pieces can be cut with 100% accuracy. An endless knife cut the fabric continuously which is run by three or more than three pulley. All the pulley are powered by high speed electric motor. The thickness round blade is narrower than straight knife. This Machine is smoother than straight knife. Large table required than the lay length. Block pieces of fabric required to cut fabric by this machine. Air blower helps the operator to move the fabric lay in various direction. This methods of cutting process as like as saw mill methods. 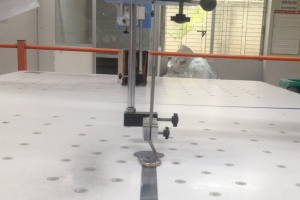 In this band knife methods fabric is movable but the machine is stationary. Automatic grinder used to make sharper the edge of knife during cutting. Very effective than straight knife to cut small pieces of garments. Low space required for installation this machine. Possible to cut thin layer with 90 degree angle. Air blower helps to smoothly handle and cut the fabric layer. Only one operator can fully control a machine with fully operational. Perfect to cut tiny pieces in lingerie like center front, cradle, wing, gusset etc. & in knit garments collar, placket, pocket, cuff etc. Operator required to move around the machine to handle the fabric layer. Without proper marker the fabric wastage is high. Fabric is not possible to cut directly. High weight layer could be problem to smooth and perfect cut. Too many marker required for large production (Long length marker can’t be handle or cut by this machine).